The most common complication that may arise from wisdom tooth removal is dry socket. 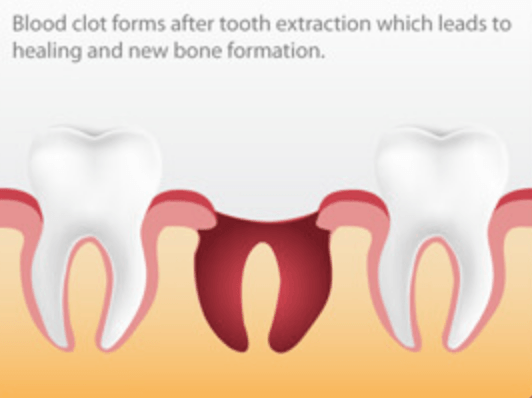 Also known as alveolar osteitis, this condition can develop when the blood clot that naturally forms within the hole left from extraction becomes dislodged, or in some cases fails to develop completely. The loss or absence of the blood clot means that both the bone and nerves are left exposed, which can cause severe pain and increase risk of infection. Dr. Aalam and Dr. Krivitsky utilize innovative technology such as advanced-platelet rich fibrin (PRF) treatments for the prevention of dry socket. This procedure creates a membrane from the patient’s own white blood cells and platelets to promote tissue growth and increase the rate of healing after a tooth extraction. Following the wisdom tooth extraction, the platelet-rich fibrin is placed in the socket not only to prevent dry socket but to also improve the body’s healing capabilities to reduce post-op discomfort, encourage a faster recovery and a lower risk of complications. Rest: Avoiding physical activity, exercising, and excessive talking or movement of the face, to allow yourself time to recuperate and heal post surgery.